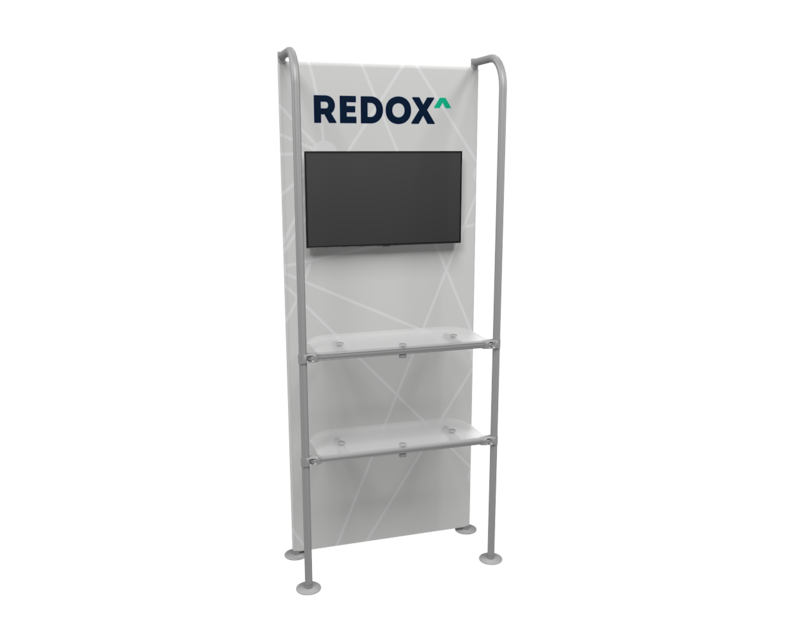 Solid and durable product display stand with multiple colors options for the counter top laminate and a custom printed header. 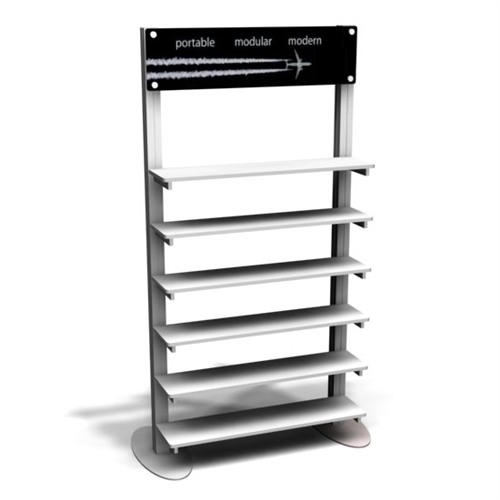 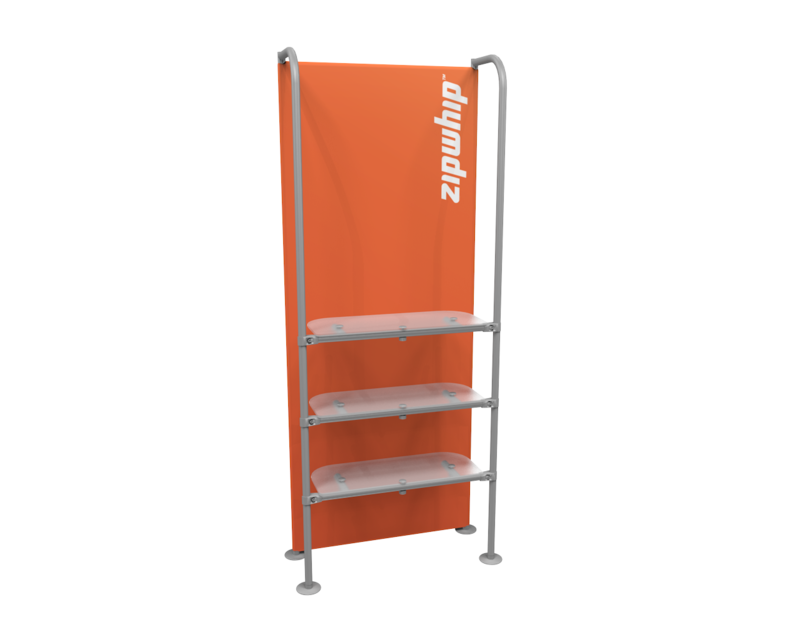 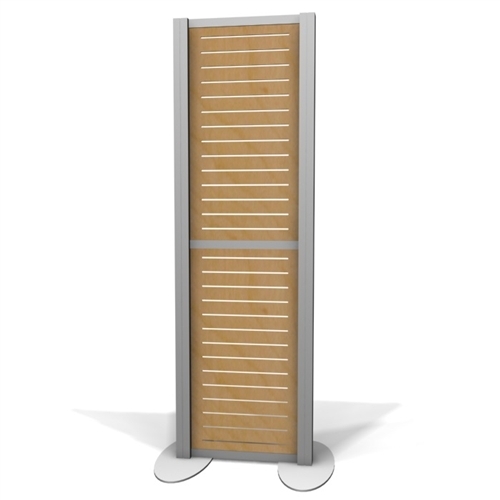 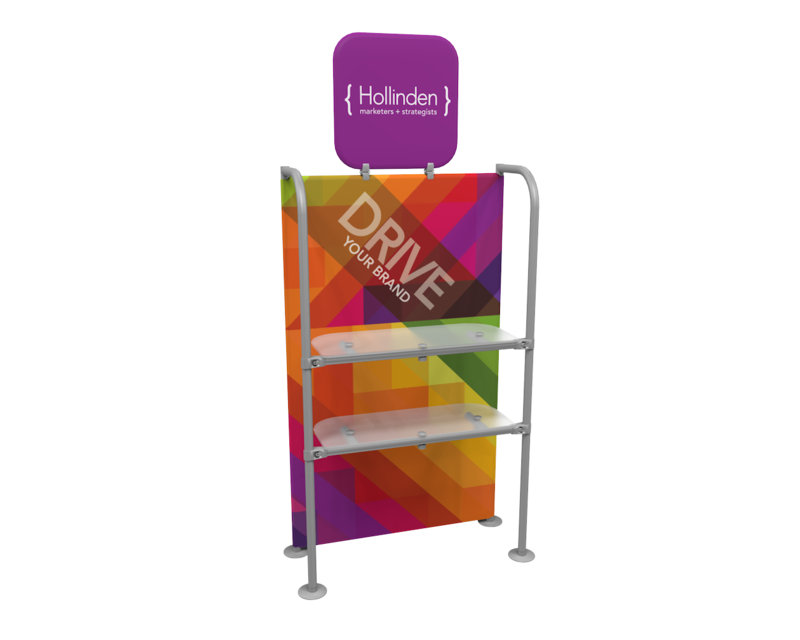 Free standing product display slatwall measuring 29"w x 82.375"h with different laminate finishes available. 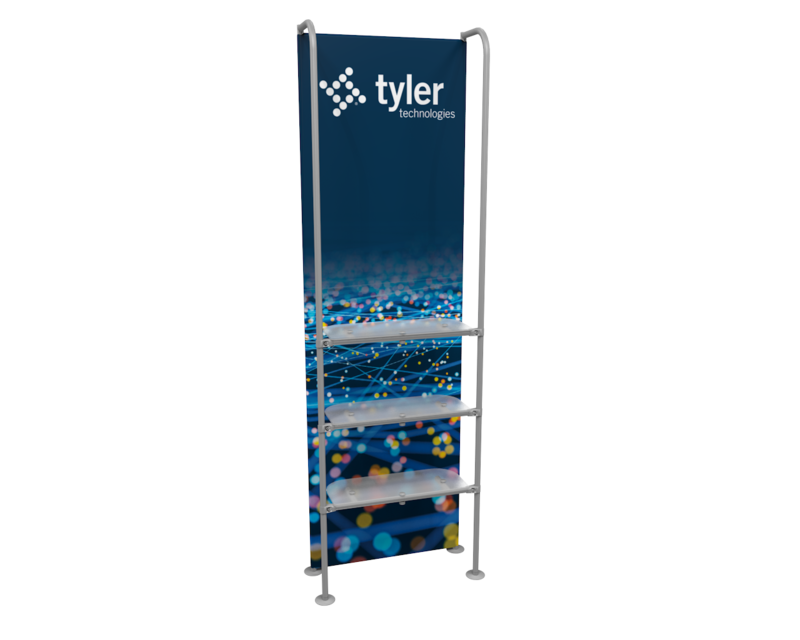 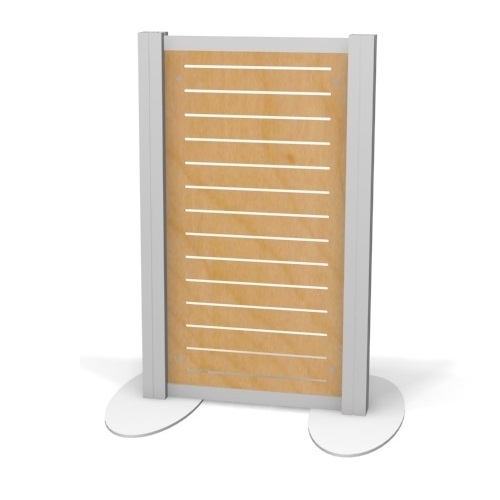 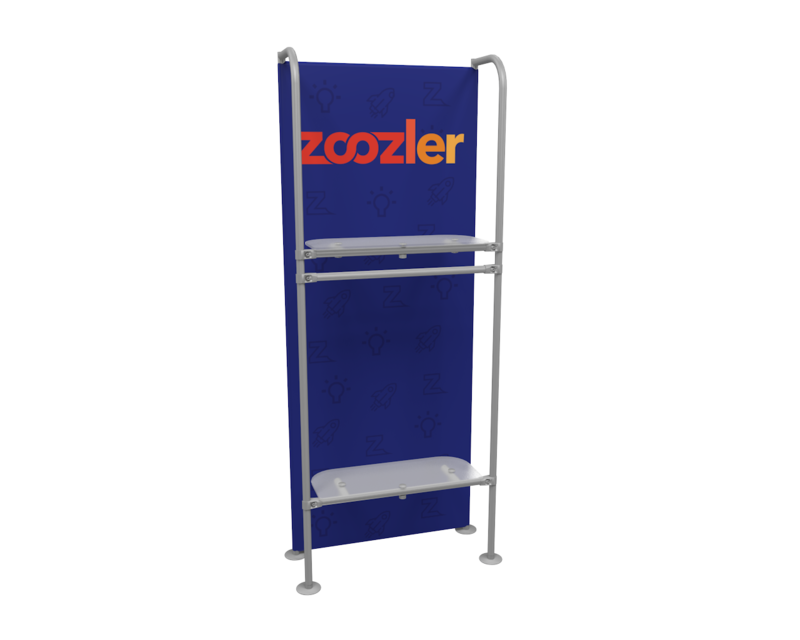 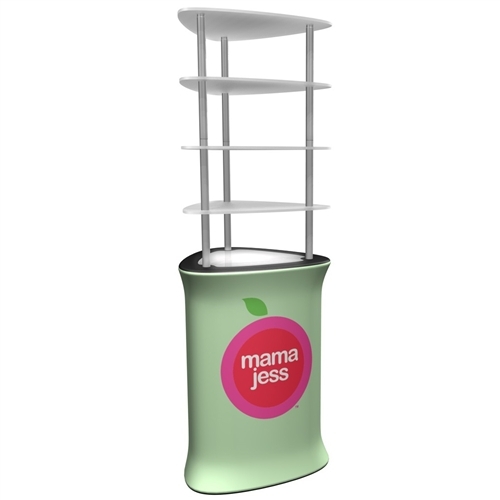 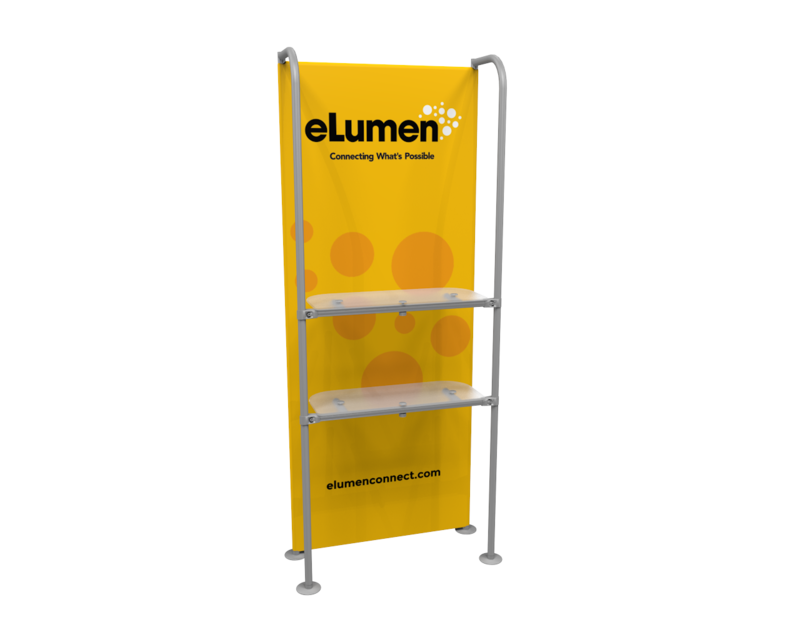 Showcase your products with this lightweight, easy to assemble merchandiser display. 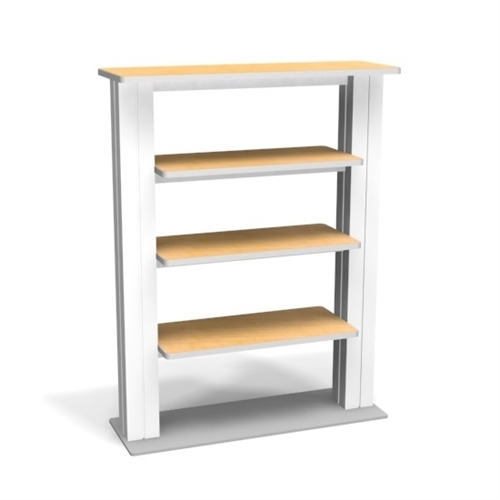 Price includes printed graphic, three frosted shelves,frame and a hard shipping case. 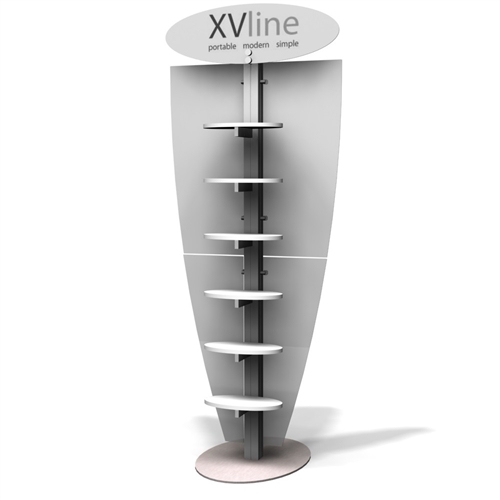 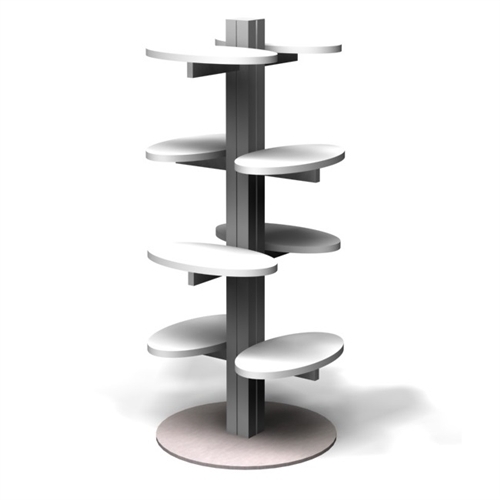 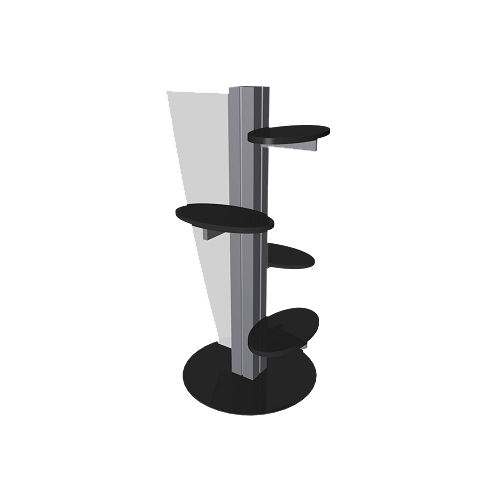 Four shelf product display stand featuring different laminate options for the shelving and the ability to upgrade to custom printed graphics on the wing.